A voice and inspiration for the feminist movement and a staunch human rights advocate, the renowned poet Adrienne Rich died at age 82 on Tuesday. Rich had suffered from rheumatoid arthritis, which was regrettably the cause of her death, for a significant portion of her life. 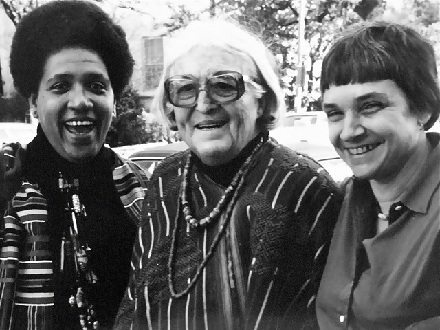 Rich’s political activism and criticism of American ideals set her apart from other female poets of her generation. She was also well known for addressing the anti-war movement and gay rights, and influenced a generation of women poets and writers. Rich married Harvard economist Alfred H. Conrad in 1953 and had three children. By the 1960s, she had profoundly changed and left her husband in 1963. Conrad committed suicide one year after the separation, and six years later, Rich moved in with her long-term partner, Michelle Cliff. The content of Rich’s work became more provocative and controversial in the 60’s and 70’s, when she began addressing feminism, racism, and the Vietnam war. Rich taught remedial English to poor students entering college later in life, and then became a writing professor at Swarthmore College, Columbia University School of the Art and City University of New York.